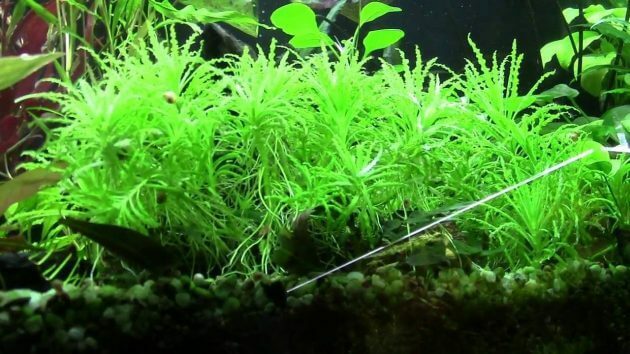 Fast Growing Freshwater Aquarium Plants “Spiky Moss Or Taxiphyllum sp” – Spiky moss is a moss plant that grows sideways and upwards. The origin of this Moss is still unknown. Professor B. C. Tan (University of Singapore) noted that “Spiky” and “Peacock” belong to the genus Taxiphyllum. Spiky Moss will grow up to 10 Cm. It grows vertically and has dark green leaves. Spiky moss fastest growth than other moss types. 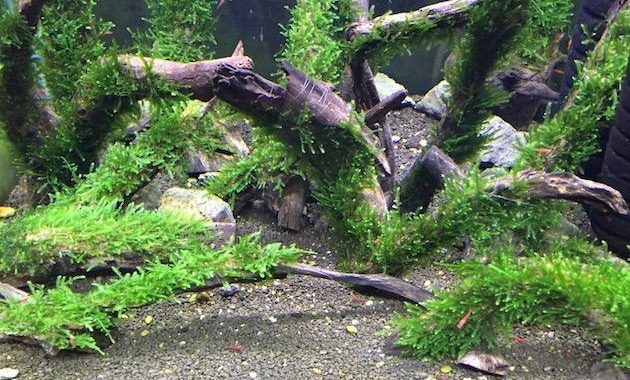 Spiky moss can be used as a leaf on a tree, and it will look as natural leaves tree in an aquarium. 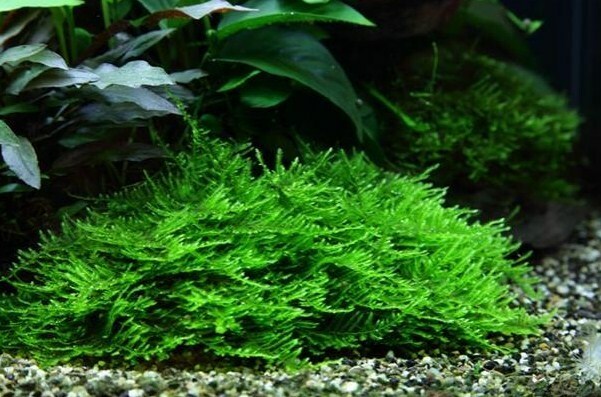 It is famous Moss Plant, many aquarium hobbyists planting this plant in his aquarium. Now you can it found in trade. Like other moss plants, it can survive in an aquarium with low CO2 and low lighting. 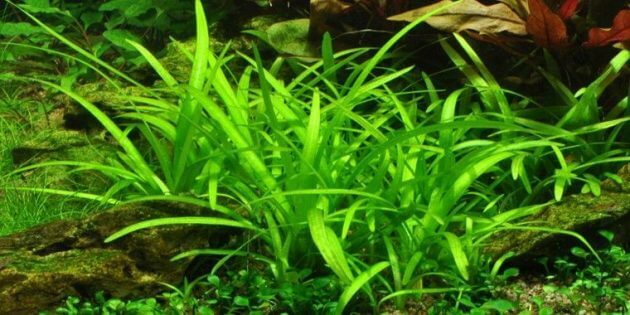 And it’s very simple for carrying, so this plant is suitable for beginner aquarist. Spiky Moss will look beautiful when it’s planting on hardscapes as driftwood or rocks. For propagated this plant is very easy just dividing it into each section and then attached it onto hardscapes. For fixing it onto planting area use thread or fishing line. Another alternative can use aquatic plant glue or net cover. 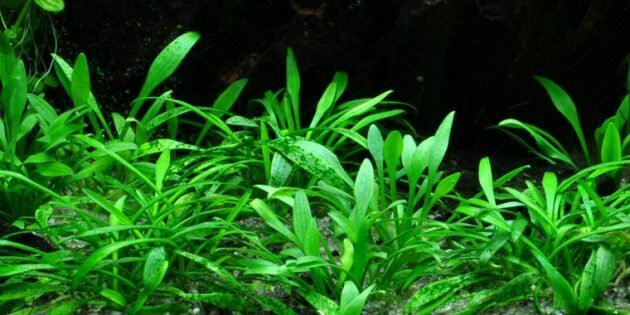 This aquatic plant will grow healthy, beautiful, vigorous and grows fastest in the aquarium with highlighting, enough CO2, regularly fertilizing and the temperature below at 30 Degree Celcius. For placement, in a tank, this moss can be placed in foreground, midground or planting on hardscape. Through occasionally trimming, will keep Moss in the form. That’s plant can grow in emersed and will grow faster than planting in an aquarium. 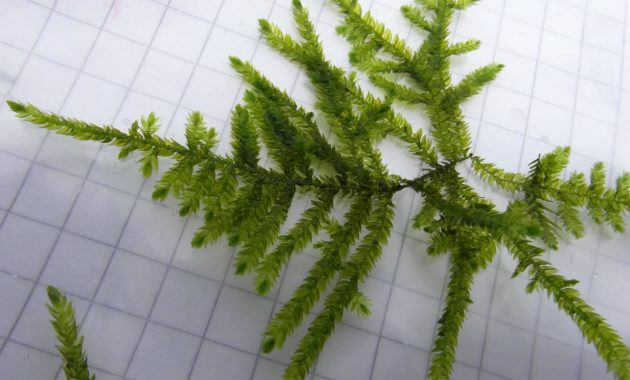 That’s all about Spiky Moss which it’s one of Fast Growing Freshwater Aquarium Plants, for another aquarium moss plant identification you can read, here.